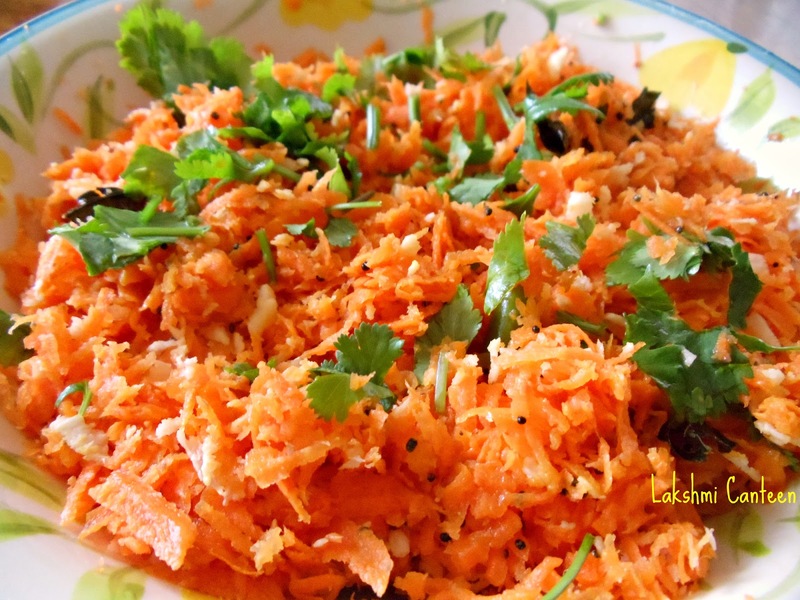 Carrot Kosambari is a very healthy seasoned salad. Carrot is considered to be a rich source of Vitamin A. It is also a good source of dietary fiber, minerals etc. Read more about it here. Eating raw carrot has many benefits. 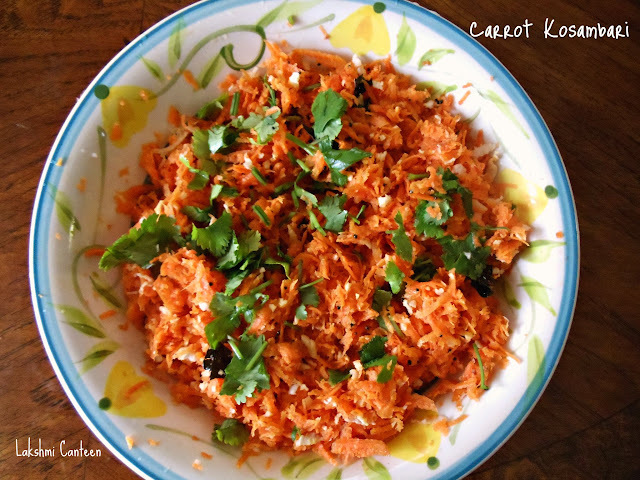 Try making this Salad and get the goodness of carrot. Grate the cleaned Carrot. 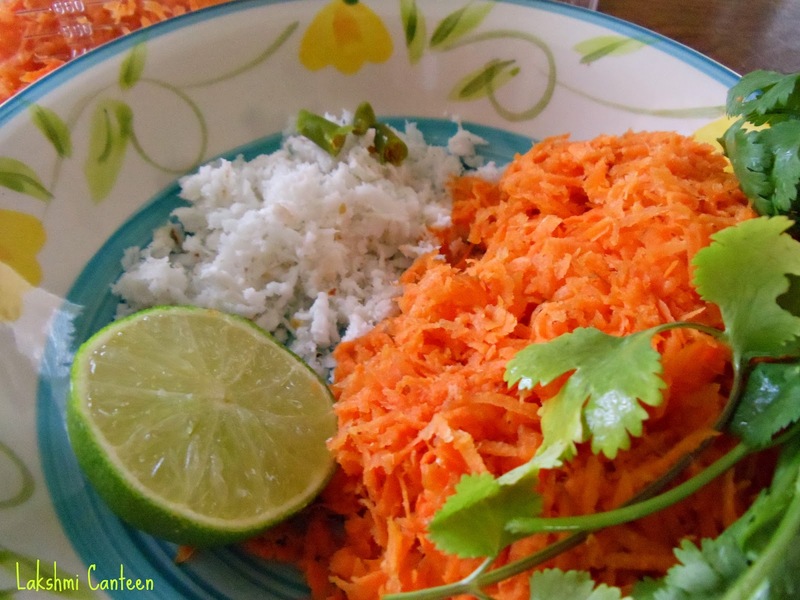 Take the grated carrot in a bowl. To this add grated coconut, chopped green chillies, lime juice and salt. Mix well. For seasoning- Heat oil and add mustard seeds. Once it starts spluttering add curry leaves and turn off the heat. Add this to the carrot mixture. Mix well. Garnish it with chopped cilantro. Carrot Kosambari is ready!! Serve it for lunch or dinner. Above measurement serves two people. There are so many konkani dishes I want to make and I have been going searching for recipes and yours was one of the blogs I have bookmarked. As and when I attempt the dishes, I will give a feedback.